MyKhanh Shelton, Advancing Women Executives Leader. MyKhanh Shelton is a big picture leader committed to positive change who is known for her ability to get things done. She confronts challenge with vigor and expert strategy using a combination of diplomacy and advocacy. Currently, MyKhanh is Senior Vice President, Global Inclusion, Engagement and Diversity at 21st Century Fox. In her role, she guides strategy and leads the global inclusion team in executing initiatives to foster inclusion and increase diversity across the company; spearheads internal programs and external partnerships to support diverse storytellers, including the Fox Filmmakers Lab, the Fox Writers Lab, and the Television Directors Lab; and leads the development of a global strategy and roadmap for the creation of Colleague Network and Resource Groups (CNRGs). Additionally, she partners with internal and external stakeholders to raise awareness of the company’s commitment to inclusion and diversity. MyKhanh completed her B.A. in Political Science at UCLA, then went on to receive her J.D. from UC Berkeley. She started her career at a litigation firm, then moved to Fox, where she has been for almost 16 years. She advanced through the organization from Counsel to Senior Vice President, Fox Group Legal. In that role, she led litigation teams across the country, represented Fox in industry-wide litigation and initiatives, and advised senior executives on a wide variety of employment-related matters. She became the Head of Diversity and Inclusion for Fox Entertainment Group in September 2016, before stepping into her current role in September 2017. In addition to her work, MyKhanh sits on the board of Facing History and Ourselves, an international non-profit whose mission is to engage students in an examination of racism, prejudice, and antisemitism to promote the development of a more humane and informed citizenry. 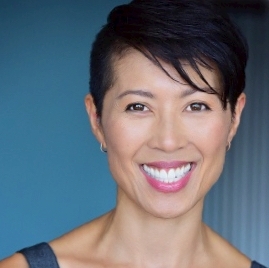 MyKhanh joined the board because she values personal stories, especially those of immigrants and refugees, to which she strongly relates to as a refugee of the Vietnam War. MyKhanh enjoys reading, practicing yoga, hiking, and empowering her daughters to pursue their artistic passions of piano, singing, and acting. She is based in Los Angeles, where she lives with her husband, Scott, and their two girls, Nyla (12) and Mia (15).